Whether building a house or just taking out the trash, residents in unincorporated areas of the county can expect to pay a little more. County commissioners gave first round of approval to fee increases for planning and development permits, as well as curbside and drop box trash pick-up for Waste Management and Hudson Garbage customers. The garbage hauling fees come on the heels of a major blow to the Pacific Northwest's recycling industry. "This year we had some unprecedented [events] that increased the cost to recycle," Kathy Boutin-Pasterz, solid waste coordinator for Columbia County, told commissioners. After China stopped accepting plastics from the Northwest, garbage companies had to find new markets willing to accept recycled materials, Pasterz and representatives from the county's two franchise garbage hauling companies said. On recommendation from the county's solid waste advisory committee, commissioners approved rate increases for curbside collection service in rural areas of Vernonia, St. Helens, Scappoose and Clatskanie. "The adjustment would mean an average increase of $2.32 per month for a 32-gallon weekly pick-up," Karen Kane, the county's public information officer, stated last month. Residents outside Scappoose city limits can expect an 8.2 percent increase in garbage rates. Those in rural St. Helens, Rainier and Clatskanie can expect a 7.6 percent increase. Rural Vernonia service is slated to go up by 9.2 percent. The increases were approved to take effect retroactively to June 1, following a late request from Hudson Garbage Company. Customers can expect to see a prorated charge on their bills, Joe Wonderlick of Hudson said, but noted the company would work with its low-income customers if the extra one-time charge presented a financial hardship. While the increases for curbside pickup max out at $2.52, Commissioner Henry Heimuller took pause before approving the increased rates on behalf of Waste Management, which included costs for new trucks. "I assume that the costs of those trucks is built into your cost of operations," Heimuller noted. Representatives for the company said the Waste Management rate increase was structured to include the cost equivalent of one truck to replace 15-year-old vehicles. Despite reservations about the retroactive rates and vehicle costs, the garbage fees were approved by both Heimuller and Commissioner Alex Tardif. Commissioner Margaret Magruder was absent. After a recent cost of service study found that the county's Land Development Services department was not recouping its staffing and administrative costs for most services, commissioners also gave the green light to enact fee increases for most planning and inspection services, effective July 1. LDS Director Todd Dugdale said fees haven't been adjusted for nearly 20 years. Additionally, the recent study showed that many planning services were costing the county more money than they brought in. Dugdale said the fees should be reevaluated each year and noted his department is looking at ways to reduce the overall cost of some services and determine whether "feasible process changes ... might bring costs better in line with revenue." 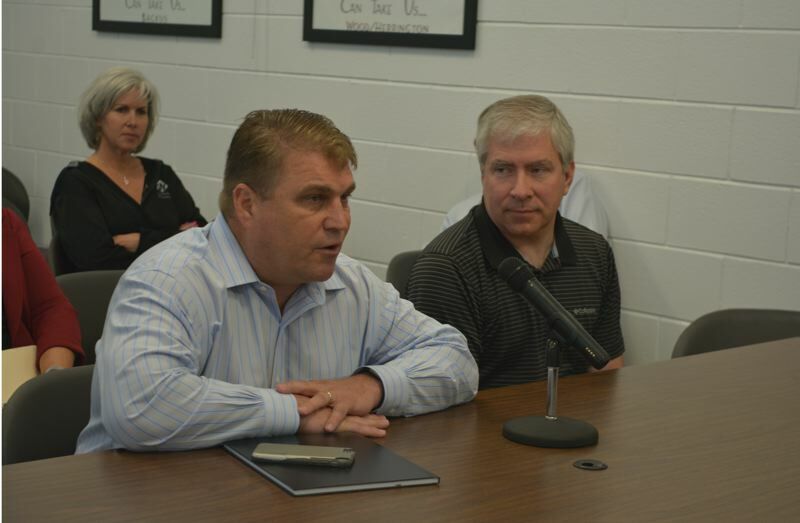 Commissioner Tardif said he heard frustration from some residents over the fee hikes. "When you explain to them that many of these fees have been subsidized with general funds, then they [understand]. If you're going to build a new house, then why should the taxpayers pay for that?" he said. "But when you're planning a new community, then yeah, that makes sense."